So there’s this other meme that’s going around the Livejournal/Dreamwidth world: 30 Days of Paganism, in which people post an entry a day for 30 days, writing about one of any number of interesting topics each day. Well, I can’t promise it’s going to be every day, but I’m embarking on a “30 Episodes of Spirituality” project, wherein I write 30 posts about different facets of my religious life. 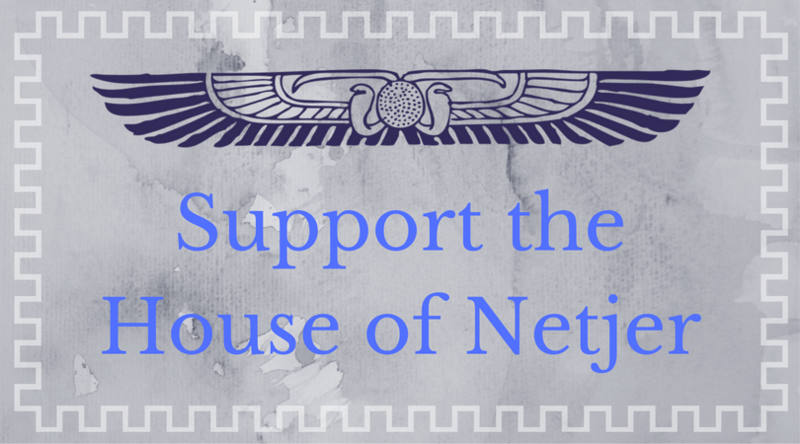 I don’t think I can really accurately call it “30 Episodes of Kemetic Orthodoxy” – because what I’m writing really isn’t a series of posts on Kemetic Orthodoxy, but a series of posts on what it’s like to be Sobeq, in the religious sense. What’s on the menu? 9. How did I get involved with Kemetic Orthodoxy? 19. “Hierarchy” and organized religion. 20. Personal practice vs. “State Religion”. 24. Reconstructionism vs. Revivalism vs. ??? 25. Other paths I have explored. 26. Religion and daily life. 27. Divination – Fedw, dice, oracle cards, and Tarot. 30. My aspirations and goals. If you’re reading this with your eyes bugging out, wondering what interesting secrets I’m going to divulge about Weshem-ib or initiation to the priesthood or how to use Fedw: stop. There are secrets in my religious life; deep mysteries that I wouldn’t share if offered millions of dollars. That’s not what I plan to write about. I will write about how those initiations changed me, how they helped make me who I am today, the effect they had on me – but not about the details of anything oathbound. Sorry to disappoint. Today I’d like to start with “Why Kemetic Orthodoxy”, but I think I’ll make that it’s own post. I’ll try to update this post with links, as I write each of these entries. This… could take a while. Additionally, I must thank… gods I don’t even know how to identify these people. Well, suffice to say that there’s a few people I’d like to thank on LJ/DW for doing this meme, and inspiring me – their journals are mostly private, so I will let them stay that way unless they request otherwise. Previous Post What is Important? 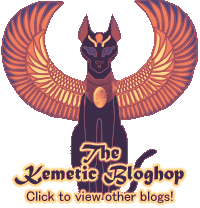 Next Post Episode 1: Why Kemetic Orthodoxy?